Local SEO for business is simple however not easy. Why? This is because every year Google’s engineers are doing their best to stop spammers or website owners from spoiling the web experience Google wants their clients to experience. Google wants the best from you if you want to be on Page 1. Prior to 2012, most SEO experts with little or no knowledge could rank websites on Page 1 for short and long tail keywords. It was fairly easier back then. Most of these people were chasing the revenue that Google Adsense would generate through potential people clicking through to a website. Quite often a Google Adword customer would not get the ROI for their advertising as the web designer did not know what they were doing. Web sites were being stuffed with keywords in their meta description, meta keywords as well in the content. Google has gotten smart over time and is constantly developing better ways to keep these unorthodox search engine so-called experts out. So if Google is changing their algorithms on ranking web pages then we need to keep up and optimize accordingly to maintain top rankings. We must be very careful who we partner up with to get your local SEO work done. There are many SEO agencies in your city. Do your research and you will find one that will work with you. 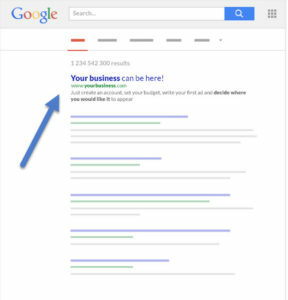 Ongoing SEO ensures that your website doesn’t slip in Google top rankings. At Cloud SEO Marketing and at our Brisbane based subsidiary, Brisbane SEO Services we take great pain to abide by Google’s conditions. Google customers are also our potential customers. If we can provide the best research experience through local search results then potentially we have more people clicking through our sites, staying longer on our web pages and eventually a great percentage of these people may buy. If we provide this then we have won. Google wants just this for their clients. Our Brisbane SEO team constantly monitor the ranking of your target keywords and react quickly if changes occur. Our monthly subscription offering ensures ongoing and continual optimisation is carried out on your website. Now if you have a budget that can afford a good SEO why not fill in the Discovery Form on our home page and get in touch with us.